We are a Google AdWords specialist agency, with Google certified practitioners, that can take your search activity to the next level. Google is used for over 2 trillion searches per year – that translates into around 3.8 million searches per minute!! 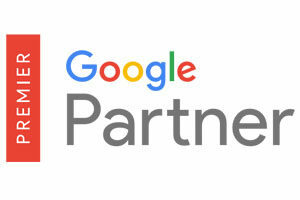 Your audience is there and with Google AdWords we can reach them at the right time with the right message. We target and optimise the activity towards the elements of your audience that deliver a better performance; location, devices, gender, age, time of the day, etc. This results in Google Adwords being one of the most cost-effective channels. The fact that it is bought on a Cost Per Click (CPC) basis means that it is a perfect channel for bringing traffic to your site. AdWords is also one of the most flexible and scalable channels, allowing us to control and optimise the spend based on the ROI. GSL Promotus is a certified premier partner – a result of our performance, our skills and our experience. With GSL Promotus as your Google AdWords agency, you will get the most out of your budget – we will help you to increase and optimise your website performance while decreasing the costs per click. We have significant experience and a proven track record of success for a wide range of clients, with different objectives and budgets. We will discuss with you your requirements and recommend you the best approach to reach your goals and objectives. Contact us and a specialist will be in touch with you as soon as possible.